Lecture ten is a gem! In this lecture from Practical Advice to Teachers, Rudolf Steiner outlines the three stages of the Waldorf curriculum. He’s getting more concrete and specific here because it’s only five days until the very first Waldorf school opens its doors! As you may know, Steiner never wrote out a detailed curriculum. Many believe he intended to eventually, but he died five years after the first Waldorf school opened and those years were consumed with all of the challenges that come with opening a new school. Steiner opens this lecture by describing the need to go from the simple to the complex, to build up the curriculum slowly. Helpful advice for those of us homeschooling! This lecture details a critical piece of the Waldorf curriculum framework. And is a great starting point for homeschoolers because the three stages are not grade-specific but a sequence of subjects from about age six or seven to age fourteen or fifteen. Alison: Love the fluidity and the relaxation that this brings: thinking about the school years as being broken up into three longer more fluid stages versus grades. Steiner reiterates that it is economical to teach in this way. We want to remember, too, that we build from the bottom up, from those first subjects and then add from there. Steiner also mentions compromise in this lecture. “Naturally we shall have to compromise…” He speaks specifically of needing to share space in the school in a way that the activity of different subjects will not disturb other classes or subjects. Steiner’s example here is that the young children cannot be doing music in the same classroom or even next to others who need absolute quiet in their lessons, so it may need to be moved to the afternoon. At home, we have to juggle these considerations as well if we have more than one child, but on a much smaller scale, of course. I also noticed once again Steiner’s similarity to Charlotte Mason with his emphasis on narrative retelling instead of formal composition up until high school. Steiner definitely thought that the ability to retell accurately and thoughtfully (versus completely imaginative or creative writing) was one of the most important goals for the scope of the entire education and the foundation upon which any fruitful composition instruction must rest. Back to Jean: I also find it reassuring to realize that Steiner and his first Waldorf school had to factor in the constraints of reality just like we do. Steiner was a pragmatist. And these lectures in the Teacher’s Seminar can at times be more helpful to us as homeschoolers than trying to model ourselves after a Waldorf classroom. These three stages of the Waldorf curriculum are a simpler starting point for our homeschooling. This outline is a progression, a sequence. This could also allow for combining grades or at least overlapping some subjects in a homeschool setting. 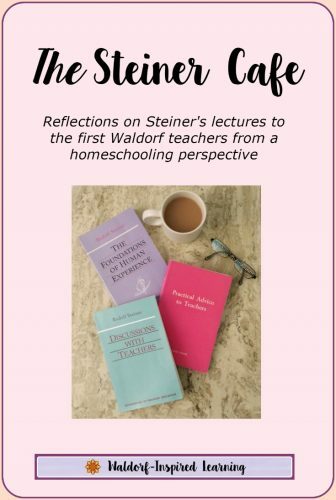 Just as Carrie Dendtler over at the Parenting Passageway has expressed, I believe that Waldorf homeschooling is becoming (or always has been?) a movement in and of itself rather than just an offshoot of a Waldorf school. The three-stages-of-curriculum approach is something I personally want to explore more, particularly as it applies to Waldorf homeschooling. 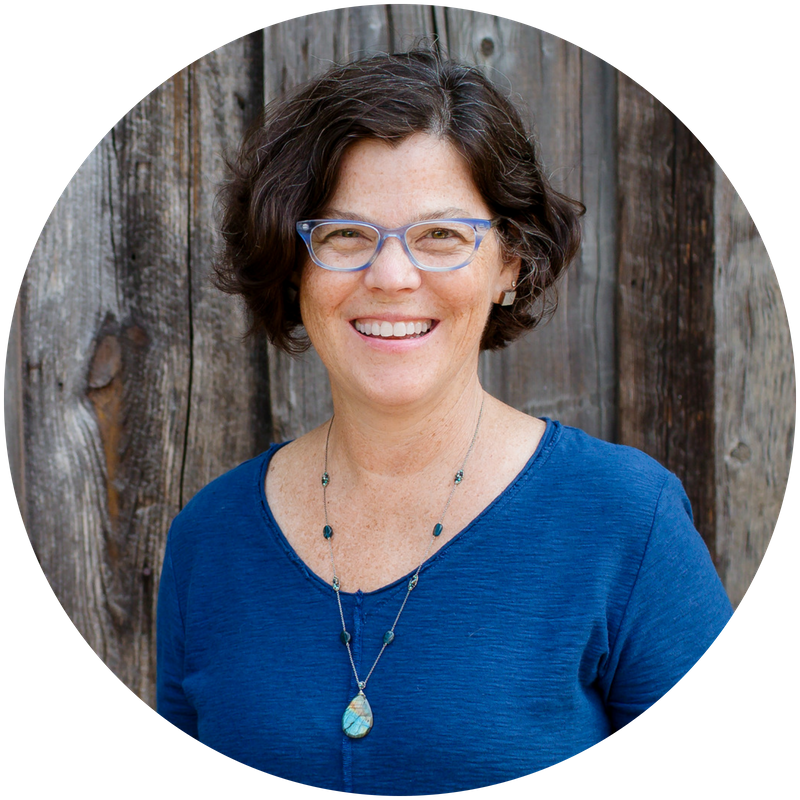 This year, the 9th annual Taproot Teacher Training reflects this, with a workshop on main lessons before the 9-year change and one on main lessons after. What are your thoughts on the three stages of the Waldorf curriculum? This is such a fantastic post! It is where Waldorf homeschooling SHOULD be headed and should make Waldorf parents all over the world feel relieved to work in three developmental stages rather than by strict grade. I applaud! Thanks so much, Carrie! It’s a great conversation and I agree this is where Waldorf homeschooling SHOULD be headed. Thanks for your contributions to this valuable conversation. This is such a valuable view of Waldorf. Personally, it helps take the “should have done, but got behind” load off and frees the home teacher/parent to have a pulse on where the child is at developmentally, rather than year by year/grade by grade. There is such a vast community of Waldorf homeschoolers online and I have been following both your posts here and Carrie’s on the daughter movement, because it can feel lonely in the trenches…I don’t know any other Waldorf homeschoolers locally. Yes, and what I love is that Steiner said this in his lectures! It reminds me of conversations about rhythm, where rather than a rigid schedule, it’s more of a sequence. Super helpful. I too appreciate the rich online communities of Waldorf homeschoolers. It can definitely be lonely in the trenches and I also remember feeling confused a lot about what to do next or how to do it. I feel comforted grounding my practice in Steiner’s words of wisdom to those brave first teachers! I really love much of your work and it has helped me in my Waldorf journey. The chart makes me feel like one only does things up to age x then stops, lol. I only give feedback because I love your work so much. I hope I have been clear and it is helpful. Please keep up the goodness!!! Thanks, Angil! And good question. You are correct that we do not necessarily stop with a subject, but add in and focus on the age-appropriate subjects. For example, we don’t stop doing drawing and painting, or arithmetic after age 9; we continue with those activities (hopefully they are integrated into our days by then), and focus on natural history, and geography in our main lesson blocks. To me, this is most helpful to shift our thinking away from a grade-specific curriculum and toward certain subjects for certain age-ranges. Hope that helps!